Home / Uncategorized / Hairstyles and the G20 – what to pick in China? Most women, if and when they can, love visiting the hairdresser, especially if the results are good. It’s usually a time to get pampered, and also get an update on the latest styles and gossip. During my last visit, I asked about hair coloring. My hairdresser gave me three options. I could either stick with my own dark color; I could go for an “ombré” – which is a fancy word for having one uniform color on the top close to the roots, and then another uniformly towards the bottom tips of the hair; or I could have “highlights” – smaller streaks of a light color throughout the hair, all the way from the root to the tip. In the end, despite the update, as winter was drawing close, I decided to simply keep with my own one color. I’ve been thinking about these three options recently in another context, the G20. The G20 is a group of the 20 largest countries in the world – e.g. in economic, population and greenhouse gas emissions terms – that was formed in 2008. Unlike the UN, the G20 doesn’t have a permanent home. Each year, the Presidency of the G20 rotates, and that president acts as a secretariat – deciding on when and where the preparatory and final meetings will be, setting the agenda and priorities for the work that year, and so on. The secretariat can also ask international organizations like UNDP to attend the meetings and help out with ideas and analysis if needed. But why did the G20 make me think about hairstyles? Well, back in 2008, the G20 priority was to sort out the global financial and economic crisis the world was facing. But over time, as the crisis ameliorated, the G20 began to work on other topics – including development. And it’s their varied approaches to development that made me think about the hairstyles. The first time development was brought into the G20 agenda was in 2010 during the Canadian Presidency who pressed for a special new sub-group to be created on development, like creating an “ombré” – an additional color. Hence, the “Development Working Group (DWG)” was formed, and the following Korean presidency set its work program (the “Multi-Year Action Plan”). The DWG continues to exist and usually meets four times a year, working on special papers and topics that are then inputted into the Economic and Finance groups for consideration. But other G20 presidencies have thought about the development work slightly differently. Some, have felt that development is not the main focus of the G20 – so, like me this winter, sought to keep the same uniform hair color… Not seeking to introduce anything new. Others have thought about the development work of the G20 more as “highlights” – or, in UN language – trying to “mainstream” and bring out the topic in as many other parts of the G20 agenda as possible. The Australian Presidency can be seen as one example, especially with its work on tax evasion and avoidance, which will hopefully have major beneficial spillovers for developing countries in time. The Turkish Presidency most recently has also aimed for the highlights approach, especially with its work on infrastructure financing and inclusive business. Of course, each of these approaches – each of these styles – have their legitimacy, justifications, pros and cons. For example, some would argue that when taking the “ombré” approach, the DWG topics have expanded quickly and sometimes not in sufficient relation to the main economic and finance topics; and the “one color” approach risks a slowdown of the DWG work. Today, December 2nd, as China takes up the G20 Presidency, what style might China go for? Based on a recent speech by President Xi, it is possible that China may take a “highlights”, or mainstreaming approach, perhaps adding more highlights than ever before… Why? 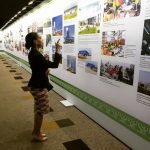 China has recently faced and overcome extreme development challenges, including through global economic and financial engagement, and, as one of the most vocal supporters of the recently agreed Sustainable Development Goals (SDGs), it may now want to look out for others – outside of the G20 – that are still facing such constraints. China may want to really drive to make sure the main G20 work on economics or finance is in the favor of the poorer countries as well as in the favor of the G20 countries themselves. In China speak – to “win-win”. And there is ample opportunity for “highlighting” in 2016. The SDGs are aimed at helping all countries – including the G20 – focus on long-term development; the economic and financial work of the G20 clearly has massive spillover effects on other countries – for example on tax, trade and investment rules; and poorer developing countries really do want a stronger voice. So, should China decide on a highlights style, this will be very welcome by developing countries. But it will also be a challenge. It’s never easy to switch a hairstyle. You need to make the style become your own and feel natural. Also, sometimes it can take a while for friends and colleagues to adopt a new hairstyle – G20 members may take a while to adjust. Thankfully, the Turkish Presidency recently has paved the way for China, but there may still be a way to go. That’s why UNDP, building on a report we published earlier this year that provide the first ever set of recommendations for China’s G20 presidency, will support China and the other countries to take the highlights style. And maybe, by the time of the G20 summit in September, here in China, I’ll have some major highlights in my own hair.